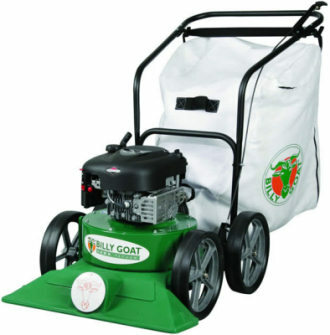 Billy Goat leaf vacuums are the market leaf in leaf and debris collection. Their range of lawn and yard vacuums are among the most reliable on the market today. 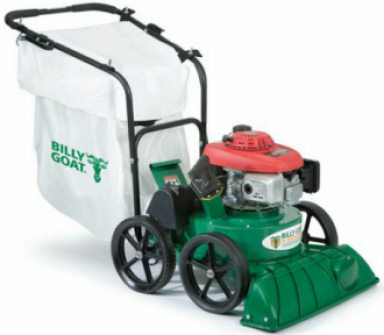 The Billy goat range of leaf vacuums are powered by either Briggs and Stratton or Honda petrol engines, providing ample power and air flow for the vacuum unit. 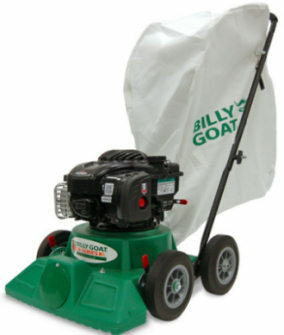 At AM Rentals the full Billy Goat range of vacuums is available at great prices. We can arrange to have your new Billy Goat delivered to anywhere in Northern Ireland or the Republic of Ireland, call us today for a quote, Or call into our showroom in Newry to see the Billy Goat leaf vacuums in person. Delivery any county in Ireland, call for a quote - tel 028 302 66665 or from ROI 0044 28 302 66665.